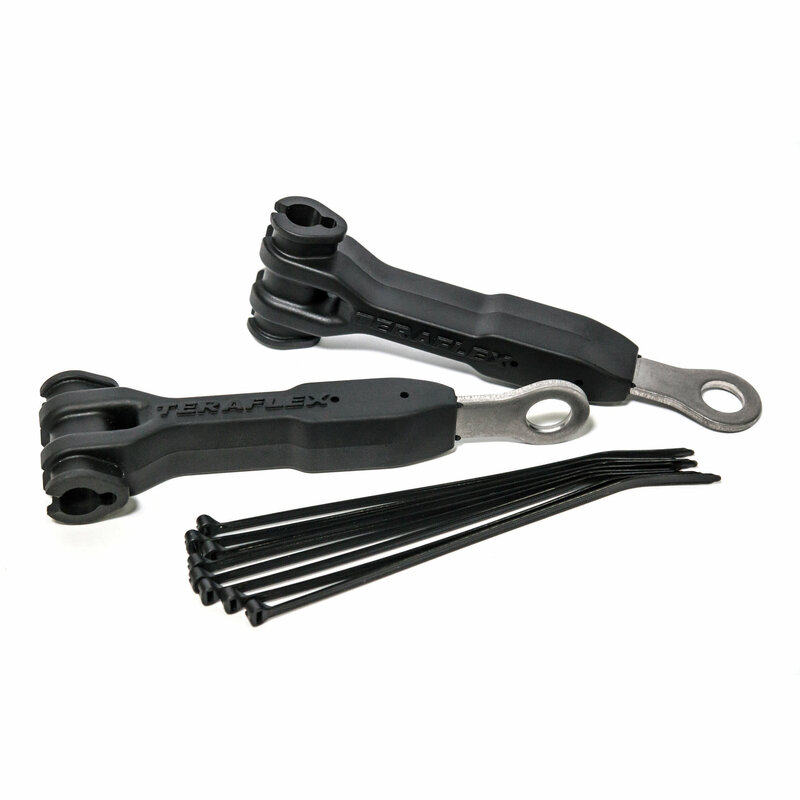 Save your Jeep Wrangler’s brake lines from getting pinched, broken, snapped, cut, or crushed with the Teraflex Front Brake Line Anchor Kit. This heavy-duty kit was designed to conveniently relocate both front brake lines and wheel speed sensor wiring. The Anchors bolt on using existing lower shock bolts, and can be easily bent into place. Teraflex designed their Brake Line Anchors to be compatible with all JK and JL Wranglers, no matter how much lift or what trim package your Jeep has. Brackets are sold in pairs, and come complete with cable ties. Easy Installation: Simply reuse the lower shock bolt, and slide your brake line into the Anchor. Teraflex supplies cable ties to secure the brake line and wheel speed sensor to the Anchor. 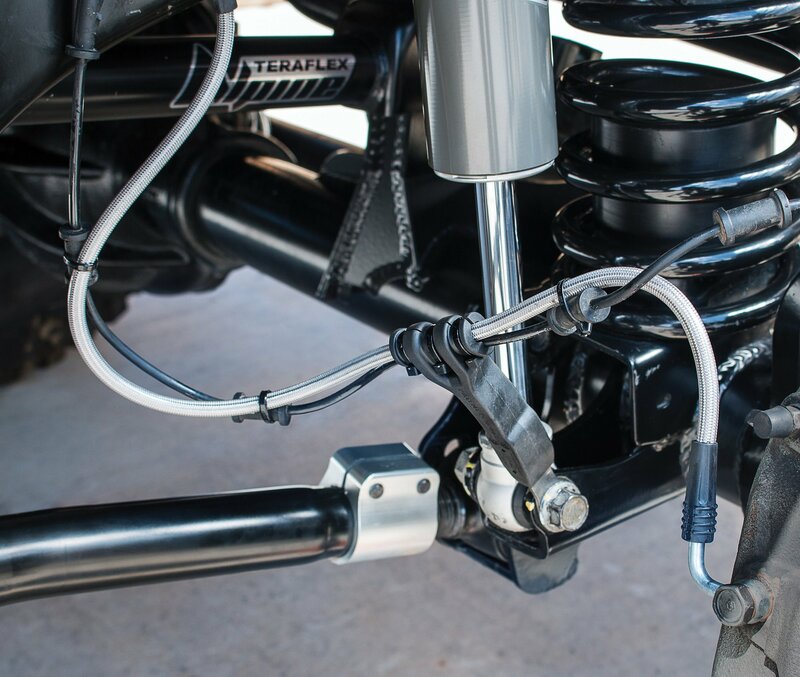 Reduces Wear and Tear: By limiting movement and keeping your brake lines out of potential pinch points, Teraflex extends the life of your Jeep’s braking system. Durable Design: Each anchor is constructed from molded rubber and stainless steel. The bracket can be bent into place to precisely fit your Jeep. Teraflex uses UV resistant nylon cable ties with stainless steel grippers.